VEGAN caramels and brownies and chocolates, oh my! YES, it’s true, all of these delicious vegan baked goods and confections are available from Allison Rivers Samson of Allison’s Gourmet. 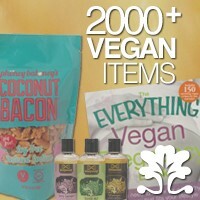 We’re giving away a $35 gift certificate that you can redeem online for your favorite vegan goodies! Plus, Allison is offering something special for the Yummy Plants community: if you order her amazing e-cookbook, Comfortably Yum, you’ll receive a $10 gift certificate that you can redeem later at Allison’s Gourmet through 12/4/15. What a sweet holiday offer! Official rules: Enter to win by leaving a comment: tell us what you’d order if you won! Enter by Friday, December 4th at 12:00 midnight PDT. **US customers only. Winners will be notified by email, so please make sure you’re using a current email address. Good luck! Chocolate almond toffee for sure! 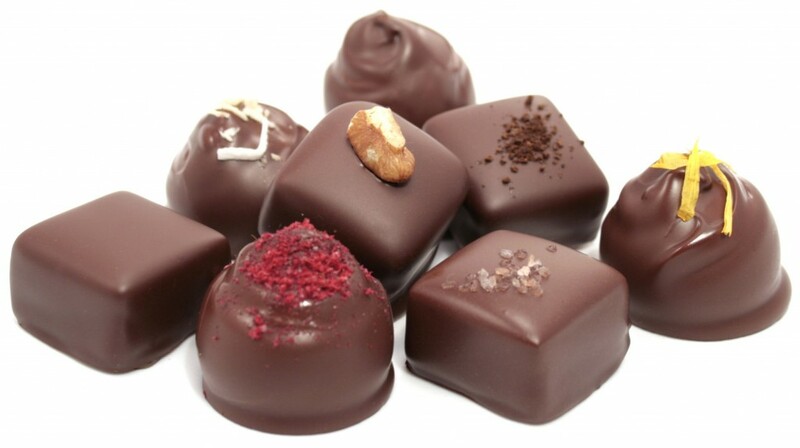 Almond toffee and chocolate covered caramels sound so yummy. Vegan treats are best. I would definitely want to try the vegan fudge! It looks so delicious. I would share with my nonvegan coworkers. Omg omg omg vegan caramel! I’ve so missed that and I can’t seen to make a good one myself. Crossing my fingers! I cant believe im just finding out about this!!! I definately love toffee and fudge and anything w raspberries! This site rocks thanks for all the useful info sometimes its hard to explain to people what my eating habits are and why. I’d order the toffee for sure. Was always one of my favorites from See’s candy, not a single thing there is vegan. I so badly miss caramel candy, it was my one true love! I absolutely would love to win this! If I won, I’d love to try the Vegan caramels. I’ve never had them before. I’d buy the chocolate treats. They look amazing! Oh gosh it all looks amazing but I think the fudge. I would get so much fudge..
I’m new to veganism and have never had the chance to try vegan chocolate so I would probably go crazy on the peppermint bark and peanut butter cups if I won! All the treeats look wonderful, but I would start with the peppermint bark! Yum! Definitely truffles and walnut brownies!! Ooooh. Caramels, toffee, peppermint bark…and I see a cookbook too! I already replied on Twitter by accident but my entire order would be chocolate almond toffee. I miss it so much! I would be super greedy and eat the entire thing to myself. No shame in my game! 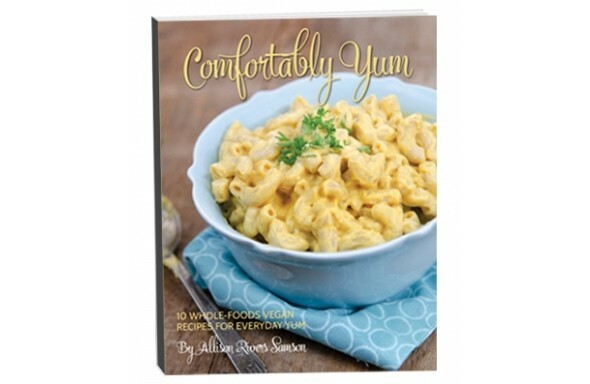 I’m always curious and wanted to try Allison Gourmet. The monthly club looks awesome as well! I would order toffee, peppermint bark, and the peppermint creme patties if I won. Were I to win the gift certificate I would order the Chocolate Almond Toffee, Peppermint Patties and Peanut Butter Cups. And the cookbook. The parfaits alone look to be worth the purchase! Where do I start!?!? Chocolate chip cookies, cinnamon snicker doodle for my husband, everything with chocolate and caramel..oh and I would NOT stop at 35$!! Did I mention my birthday is December 3rd? :) thanks a lot-I’m hungry now! Vegan caramels! They look so good and I love caramel! Brownies. Definitely the brownies. They look absolutely delicious. There are so many wonderful options to choose from, but I would start with chocolate chip cookies. Classic and delicious! If I won I would order the taste of the month club, I recently went vegan and plan on sticking with it but I love sweets and chocolate so this would be an awesome treat! Oh my goodness so much yumminess to choose from. But if I won the gift certificate I’d start with the vegan caramels. My favorite! If I won the gift certificate give away I would order the fudge of the month club! Treats look spectacular, can’t wait to try them! !